As a parent of two young kids, finding quick, fun and tasty treats that don’t come with any guilt is always a challenge. 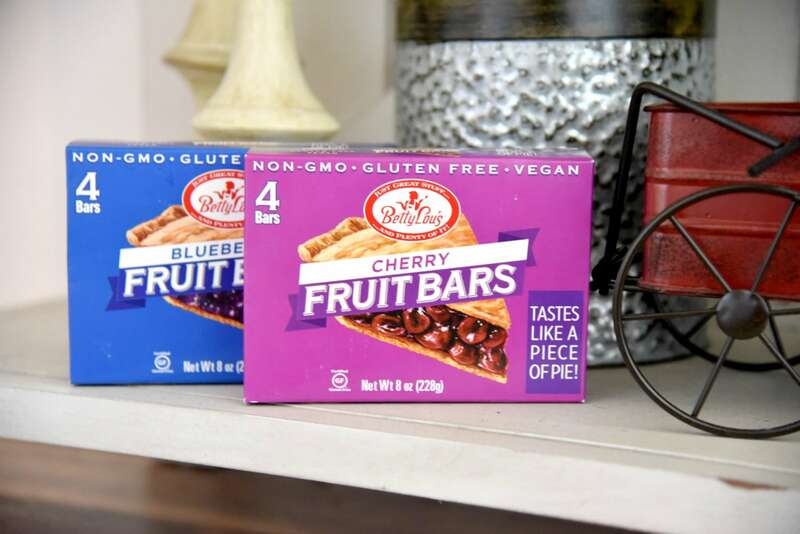 But we’ve found the answer: Betty Lou’s Fruit Bars help us balance our on-the-go lifestyle, sweet tooth and nutritional goals. My Children Are Growing So Fast! My children are now 7 and 10-years-old. I was told by so many people that they would be growing up quickly and, boy, they sure have. Will someone please slow this down? It seems like every day there is a new adventure, challenge or milestone. Every 6 months, we measure them in the doorway of our dining room, making a line higher and higher up to the ceiling. My husband loves that they are getting older, but, honestly, I love my babies! The mommy in me definitely feels this way, but the parent in me knows how important all of this growing is. It seems like they are constantly hungry these days and I need to make sure that I am providing them with healthy options to put in their growing bodies. This, in itself, is a challenge. But, I also want to let them have their treats as well. We all have a sweet tooth (my husband especially!) and I don’t want to deny my family a little bit of fun food. The balance, of course, is to give them the treats without the guilt. Also, this time of year is always a challenging one for me and food. I always indulge on WAY too many things at the end of the year during the holidays. Then, in the early part of the year, I am on my best behavior. I eat, I exercise and I always lose those extra pounds that I put on in the time between Thanksgiving and New Years. But, by March, my sweet tooth is back with a vengeance. Not only that, but the neighborhood pool is opening soon and we are headed to a Hawaii in a couple of months. I don’t want to put those pounds back on!!! So, I’m constantly looking for ways to curb my cravings for the decadent while not fearing the scale in my bathroom. If you’re a parent and all of this sounds familiar, I’ve got a possible solution for you. 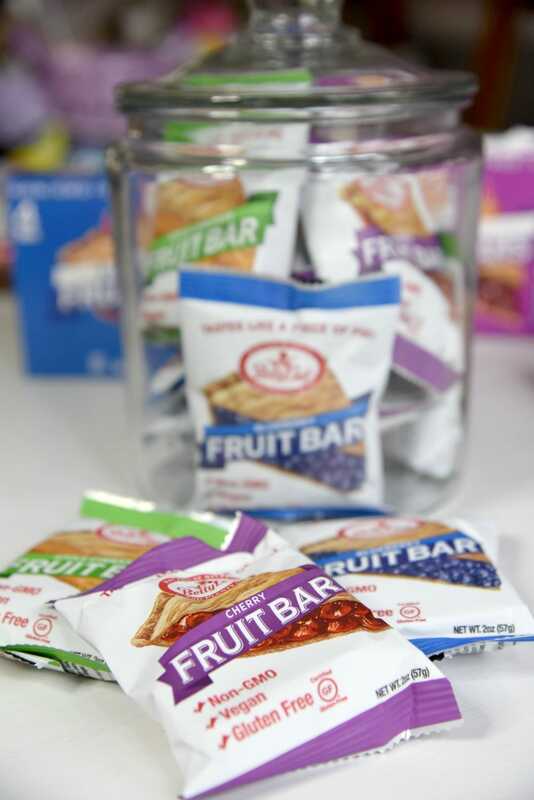 I’ve had the chance to taste Betty Lou’s Fruit Bars and they could be the answer to our problems. I grabbed a couple of boxes on my latest trip to Walmart and I’d I’m pretty impressed. 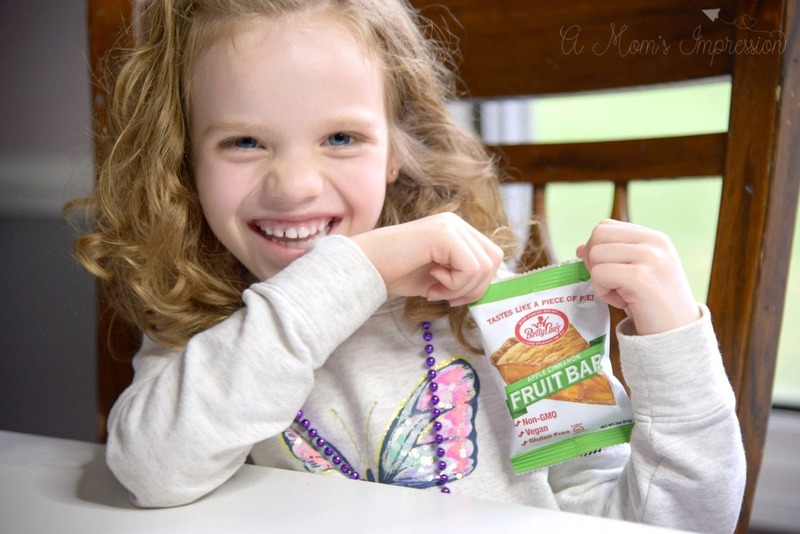 Betty Lou’s Fruit Bars are a healthier-for-you treat for your family. If you love the sweeter things in life, but don’t want to limit the guilt you feel, these treats could be just the thing for you. The thing that stood out to me about Betty Lou’s Fruit Bars is that they derive all of their sugars from natural fruit and fruit juice. The other thing that I appreciated about these fruit bars is that they Gluten-Free, Vegan and Non-GMO. My husband tried one of these without really looking at the box, and when I told him all of this he was honestly floored. He had no idea. It says on the box that it “tastes like Pie”. It does. They offer flavors of Apple Cinnamon, Blueberry, Blackberry and Cherry. I’d suggest putting it in the microwave for a couple of seconds and putting a scoop of vanilla ice cream on top. It really will taste like a slice of homemade pie. But there are other things you can do with it. You could use it in a recipe for a smoothie bowl or blended beverage. Or you could grab it on-the-go for a quick tasty treat. As a mom, I’m always looking for products that I can use in several different ways. This is one of those products. The fact that they are Gluten-Free, Non-GMO and Vegan also add to the appeal. These could be a great option at a child’s birthday party where there are lots of different dietary considerations. 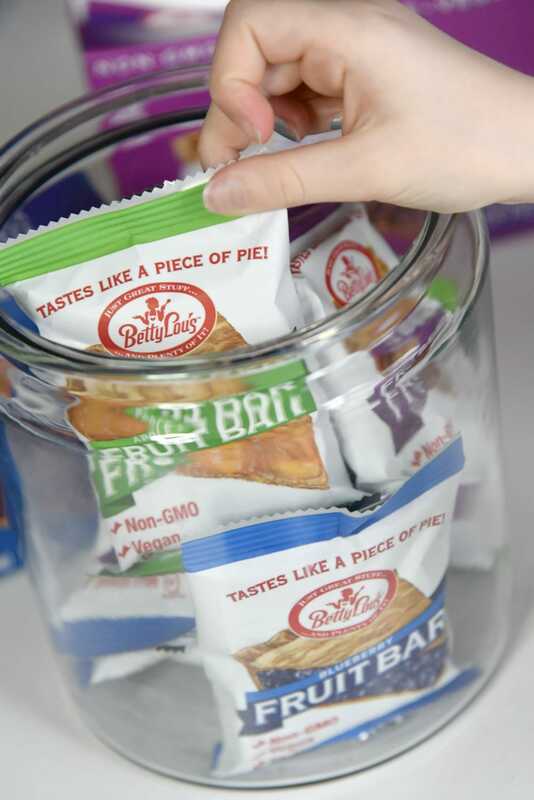 Betty Lou’s Fruit Bars is completely void of any of the 8 major food allergens defined by the FDA. 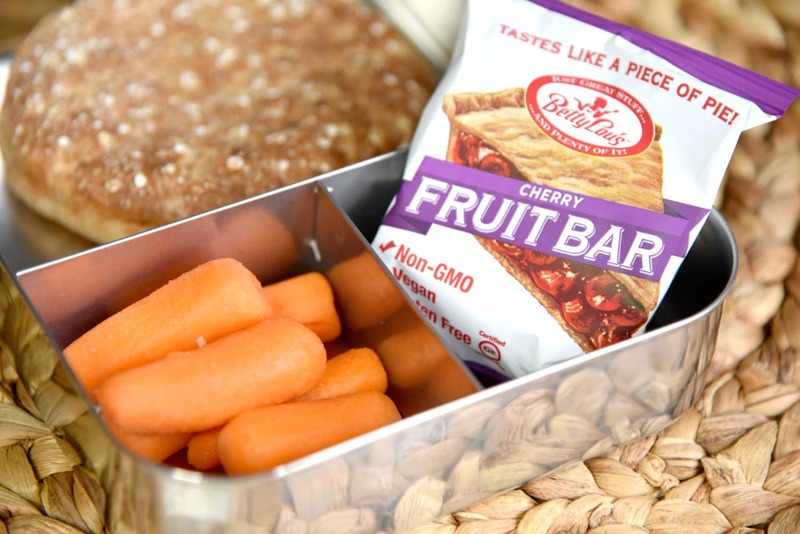 So pick up a couple of boxes of Betty Lou’s Fruit Bars during your next trip to Walmart. Or, better yet, try out Walmart’s Curbside Grocery Pickup for a convenient way to get all your shopping done! All the flavor, minus the guilt!